by Richard Coughlan (drums), Pye Hastings (guitar), David Sinclair (organ) and Richard Sinclair (bass). 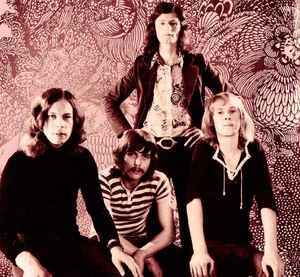 Dave left in August 1971 and was replaced by Steve Miller (3). Steve left with Richard in July 1972 when Geoffrey Richardson (viola), Stuart Evans (bass) and Derek Austin (organ) joined. Stuart was repleced by John G. Perry in February 1973 and Derek by the return of David Sinclair in April 1973.